Welcome to the 100 Mile Wilderness website! Inside you will find a wealth of information and helpful tips that will assist you in planning and enjoying a successful hike through Maine’s rugged 100 Mile Wilderness. 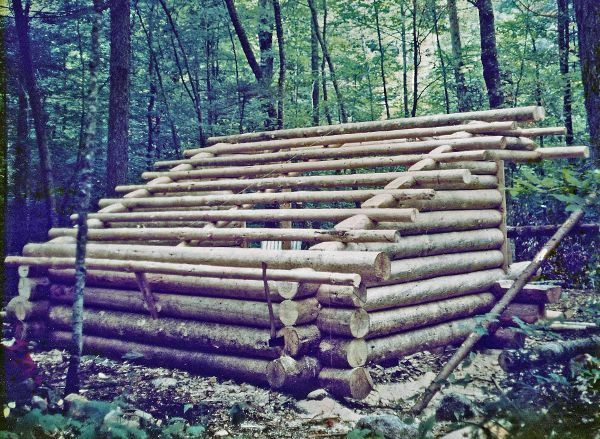 This information is a collection of over 40 years of living, working and playing in the 100 Mile Wilderness. I can help you with private accommodations, shuttles, planning and offer resupply opportunities in the 100 Mile Wilderness and I can answer any questions you may have. 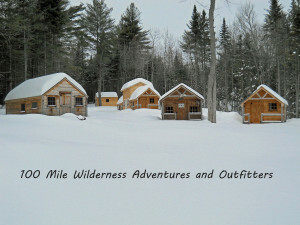 Contact me at phil@100milewilderness.info for availability and reservations. 100 MILE WILDERNESS SPECIAL…$125……The 100 Mile Wilderness Special is an all inclusive package for the solo hiker that features overnight accommodations in a private cabin in Monson and shuttle to/from Abol Bridge or Baxter State Park for those guests driving to Maine. I can help with permits if you’re planning to climb Katahdin and mark your maps with additional campsites. Optional pick up/drop off for those guests flying into Bangor. Optional resupply opportunities available in the 100 Mile Wilderness. Discount pricing for two or more. SECTION HIKERS…..I can help you with all the logistics and planning to make your section hike along the Appalachian Trail through Maine seamless and hassle free. I can help you with shuttles, private accommodations and offer resupply opportunities in the 100 Mile Wilderness. I do shuttles from Katahdin to Oquossoc and all points in between.. 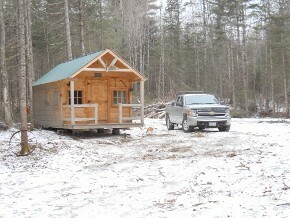 Plenty of safe and free parking at my 100 Mile Wilderness cabins in Monson if you’re driving to Maine or I can arrange to pick you up/drop you off in Bangor if you’re flying in. Just let me know what you want to do and we’ll make it happen. I take the worry out of your plans. ACCOMMODATIONS My campground is located in Monson, Maine and is just a short, 2 minute walk from the Appalachian Trail at Mile 117.8. 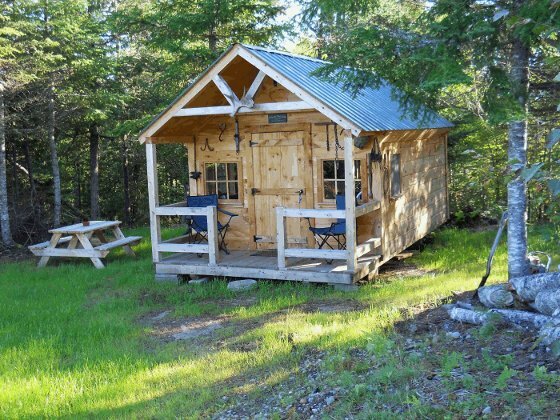 I provide clean, quiet and comfortably furnished accommodations, which include 4 private cabins, 2 private bunkhouses and secluded campsites for those guests prefering to tent. My grounds feature hot showers, safe and secure parking, kitchen facilities and a well stocked library. Click onto my services page for more information. SHUTTLES I provide fully insured and State licensed shuttle services throughout most of Maine. I do direct pickups and drop offs in Bangor, Abol Bridge, Baxter State Park and travel as far west as Oquossoc for those hikers going beyond the 100 Mile Wilderness. I know the vast network of logging roads throughout this remote region and I can assist you with your shuttle needs to/from at least 20 entry/exitpoints within the 100 Mile Wilderness. Click onto my services page for more information. MAPS AND GUIDES….. Maps are available for the 100 Mile Wilderness, Baxter State Park and the new Katahdin Woods and Waters National Monument by clicking onto the my online store to the right. Each map is durable, waterproof and tear resistant. Excellent for planning and executing your 100 Mile Wilderness hike. I can mark 30 additional campsites that I’ve found over the years that will allow you to camp in private, as well as add some flexibility to your itinerary. PLANNING GUIDE I offer a detailed and up to date planning/services guide that will help you determine your needs and assist you in logistical planning. Contact me at phil@100milewilderness.info and I will e-mail you a copy. 100 MILE WILDERNESS GUIDE SERVICES . 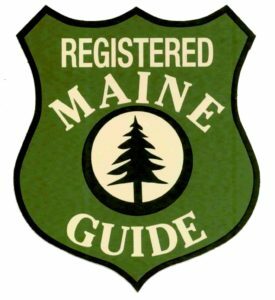 As a Registered Maine Guide I will work with you to insure that your experience is safe, memorable and enjoyable. I have over 40 years of experience in the 100 Mile Wilderness and will be here for you every step of the way. 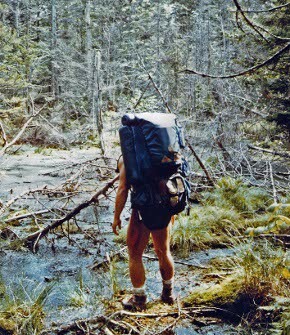 If you’ve been thinking of a long distance hike, but are not sure on how to go about it or are uncomfortable with your skill sets, contact me and I can provide one on one help that will teach you how to be comfortable and confident while hiking in the Maine woods alone. 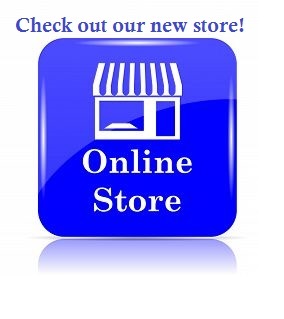 UPDATES Be sure to “like” my Facebook page in the upper right column. 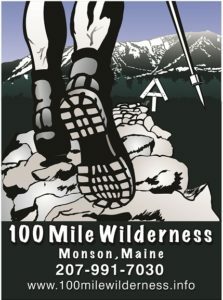 I do regular updates on trail conditions, weather reports, river fords and other topics of interest in Maine’s 100 Mile Wilderness.